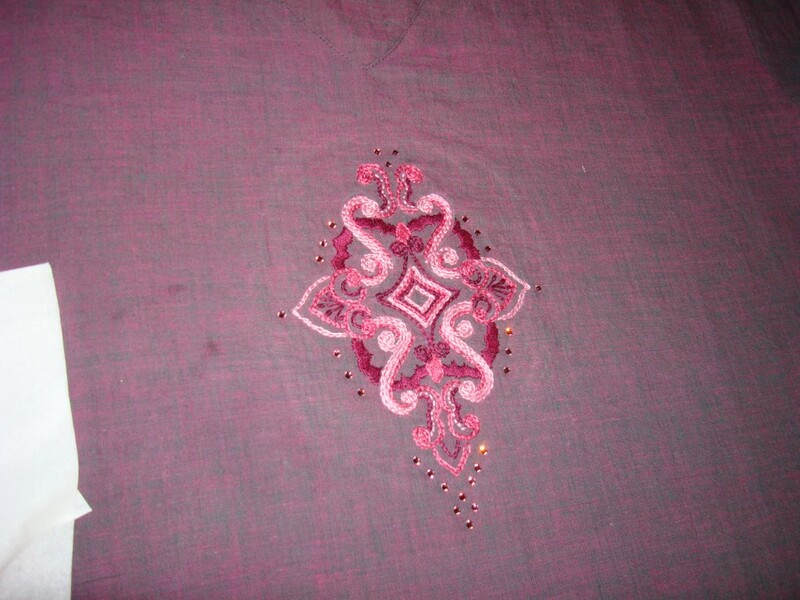 This is a kurthi[short top,blouse] ,which I had bought for a specific purpose. After that, this was sitting plainly staring at me wanting to be embellished. 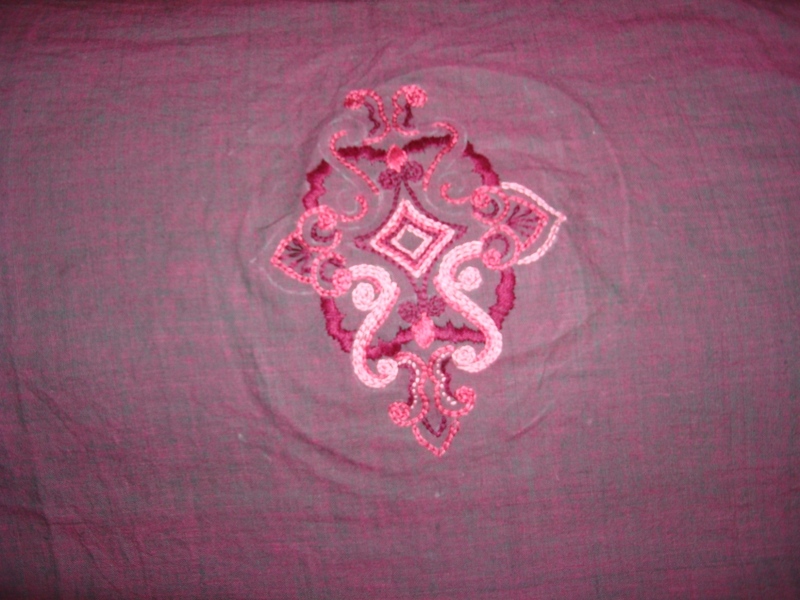 The colour looks different from violet, because of the dark pink streaks.This is handloom cotton. This motif comes just below the neckline. today’s topic- why did I write a blog? Then,Sharon was already in the third year of her needlework challenges, I wanted to join stitch explorer challenge, realised I ‘ll require a blog to write about my work. I went on from there. Still I am using this blog to write about my journey in embroidery. Iam still unfamiliar with photo editing, so keep putting off my tutorial ventures,Once Iam comfortable with the basics[photo editing] I can write tutorials and post few of my own patterns in that particular form of embroidery, to make it more interesting.